When we train, we need to strive towards achieving our physical goals through optimal training, not maximal training. In other words, train smarter to accomplish your objective rather than training as hard as possible. Reason? Because most injuries are caused by the way we train over a period of time. And if you haven’t injured yourself yet, you will hurt yourself or increase the likelihood of such incident at one point or another — resulting in compromised joint function that won’t enable you to properly train your muscles for function, aesthetics, or otherwise. When I talk about training optimally over maximally, I’m talking about strengthening muscles that need to be strengthened (for most people this is back and hamstrings, not chest and biceps). I’m also talking about stretching muscles that need to be stretched (for most people this is properly stretching the chest and hips, not a 10-second overhead-reach stretch just before your workout). You won’t be doing anybody a favor by negating weaknesses and attempting to strengthen muscles that are already over-developed. Focus on what NEEDS to be done for under-developed muscles and tight fascia and stop worrying about which workout is the best workout for a beach body — which by the way the best workout for a beach body is called dieting. It doesn’t matter if you can bench press an astonishing 315 pounds, wear an altitude mask while sprinting up and down your gym’s staircase dripping in more sweat than Britney Spears at a Vegas concert, and fancy-talk about the coolest backyard workout your trainer invented if you cannot properly do 8-repetitions of hanging chin-ups, a proper set of deadlifting, and a proper set of back-squatting without compromise, pain, or discomfort. And if you cannot do those without pain or discomfort — it’s time to stretch. Not for 5 minutes. Not for 10 minutes. But treat stretching as your training! Sleazy & antiquated fitness quotes like, “No pain no gain,” or “Excuses don’t burn calories,” or “Better sore than sorry” attract the masses via the many social media outlets that seek to place emphasis on aesthetics over function. But let it be known you can achieve proper function of the body AND beautiful aesthetics if you train optimally, not maximally. A wise saying (which I believe originates from school of architectural design) is the notion that less is more. When it comes to the application of exercise and exercise selection with coaches and clients, this is something that needs to be taken into serious consideration. With countless fitness Instagram accounts, YouTube channels, television shows, fitness magazines, and lucrative fitness certification institutions boasting “the best” training models (these are real money-makers for suckers), things can get quite overwhelming. Sometimes the main objective gets muddled in an information overflow, not knowing what to do and how to do it even though the answer is simple. This is why when you seek to exercise or design an exercise program, you need to design the least amount of exercise needed to achieve your goal. This is not to say train minimally and certainly not to say train maximally. This is saying train optimally. Train smart. Train for your objective — whether it’s physique, strength, flexibility, or something else — and keep doing it to maintain what it is you wish to maintain. Some of the more influential strength coaches (or physical preparation coaches, call it what you want) are pioneers in this philosophy. When it comes to weight training, the key is knowing how to train for what it is you wish to accomplish. 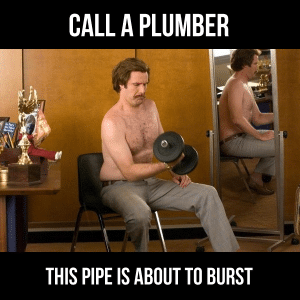 Instead of throwing spaghetti on a wall and seeing what sticks (this is for all the guys doing 4 different types of cable chest presses), take some time and understand your body (what are your weakest muscles, what are your tightest muscles), the angles involved in weight training with relation to this thing we call GRAVITY, and the amount of time under tension you want for your muscles and joints (hint: the slower your repetitions, the greater your muscular gains). Think about the angles of each movement that — when applied in both advantageous and disadvantageous angles of the strength curve — can become a catalyst for muscle growth. Each exercise you do needs to exploit the differences in your strength curve. 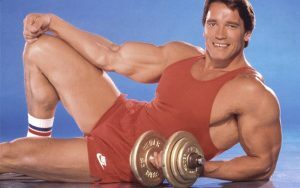 If muscle growth (hypertrophy) is your goal, then go ahead and hack the nervous system by progressing exercises from mechanically disadvantageous positions to more favorable ones (think arm curls on incline bench, then arm curls seated, then curls in forward-leaning — all three are the same muscle targeted at different angles in relation to gravity). DEADLIFTS ARE KING — BUT TRY THIS BACK WORKOUT TOO! Rest 175 seconds & repeat 3-4 more times! If sheer brute strength is your main objective, then lift very heavy weights (With perfect form! Never lift maximal weights with sub-par form!) with focus on elastic energy (the energy stored in your muscles that allow quick, forceful contraction) of high sets, low reps (think 5×5 or 6×3). And if both hypertrophy and max strength are of concern, then train very slowly with each repetition heavy, yet controlled since stimulating the nervous system by manipulating exercise speed with each repetition can and will help achieve muscular gains and increase strength. But if your muscles are tighter than your girlfriend’s yoga pants, then forget hypertrophy and maximal strength training altogether and stretch. You will do your body a huge favor by stretching because joints that are out of alignment (or closer than they need to be) are unhappy joints that won’t be as stable as you want. Think of it this way, tight fascia severely restrict the ability to recruit and train muscles in full range of motion as well as preventing muscles from fully recovering as nutrients are prevented from fully entering cells due to this inhibition. And tightness seems to work itself up — tight calves leads to tight hamstrings leading to tight thigh and hip function. And if your fascia/muscles are tight, it will tug and pull joints closer causing impingement (and uncomfortable tightness) that can restrict other parts of your body. In essence, tightness can inhibit muscular growth for all those seeking a beach body. Even if you wanted a beach body, stretching your way to an optimal weight training program would benefit greatly. If your hands constantly hang in front of you during standing posture, then your chest/shoulders are probably tight and you need to address that rather than bench pressing just because a popular fitness magazine said so. If you cannot forward bend (think toe-touch) without discomfort, the last thing you need to do are more leg press machines or Smith squats — and probably need to focus on stretching the hamstrings 30 minutes a day (as well rack-pull exercises). If your back is weak, then make it stronger by focusing on deadlifting as well as the many angles of back exercises under various speeds per repetition — see above for sample program. The point of all this is to help you save time and spare your joint health. To inform you to not do something that doesn’t need to be done because less is more. Don’t train like a madman thinking the more you train, the better it gets. We would certainly not say this when it comes to alcohol…Sure a few drinks makes for a happy time, but after 7 or 8 drinks it’s no longer fun. And the next day you’re paying for your mistake! Don’t be that guy at the gym. Don’t train maximally. Be smart and train optimally for great results that not only save you time and money, but will decrease your risk for injury.